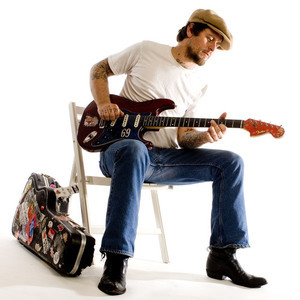 Eric Lindell is an American singer-songwriter, born in San Mateo, California in 1969. He is best-known for his 2008 album Low on Cash, Rich In Love and the single from it, "Lay Back Down." He has performed with New Orleans drummer Johnny Vidacovich and War's Harold Brown, who have also contributed to his albums. A self-described skate punk, Lindell grew up in the San Francisco Bay Area. He began playing in bands at the age of 15. Among his early musical influences were Fishbone and Black Flag. A self-described skate punk, Lindell grew up in the San Francisco Bay Area. He began playing in bands at the age of 15. Among his early musical influences were Fishbone and Black Flag. Lindell started playing in bars, first with the guitar, and later moving to bass, while working as a baker during the day to make ends meet. After a few years he had decided to move to New York City briefly, then moved in 1999 to New Orleans, where his creativity was able to flourish further. In New Orleans he met up with Johnny Vidocovich and Harold Brown. He also plays with Ivan Neville and Galactic's Stanton Moore in Dragon Smoke. By 2005, he was well-known on the New Orleans blues scene, and had gained enough attention to have Alligator Records sign him. His popularity has remained steady and he has made appearances, including on the television program Late Night with Conan O'Brien. Lindell's musical style borrows from 1970s blues-rock, soul, and R&B. His style has also been called "blue-eyed soul", a common short-hand used for Anglo blues singers that has been applied to artists including Daryl Hall (of Hall and Oates fame) and Van Morrison, among others.